It is so easy to be One Valley blissed out when it is easy. It’s not so easy to be all One Valley when it’s not easy. And the Brush Creek affordable housing process has made it not so easy. Welcome to reality, everyone. 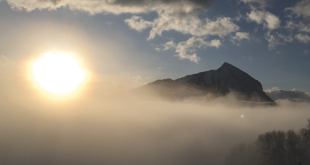 The town of Crested Butte and other neighbors of the proposed 240-unit, 700-person development feel more than ignored when it comes to this proposal. The One Valley symbol to them appears one giant middle finger coming from down south. The feeling is not unwarranted. The town emailed a request to its “partners” more than a week ago asking for a slow-down in the process. It received one response: Mt. Crested Butte town manager Joe Fitzpatrick wrote back that the town of Mt. Crested Butte was not interested in a meeting of the parties to discuss the Crested Butte concerns. The other partners did not even reply. While the town of Crested Butte has very limited and obviously diminished power with this proposal as one of four partners in the property, the fact is given its location, the majority of the impacts (on parks, roads, the bus system, school crowding, traffic, etc.) 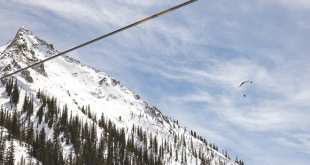 from such a massive, big-city development will fall on Crested Butte. So Crested Butte has real concerns and should have real standing. The rest of their One Valley partners don’t seem to see it that way. I understand the town was part of the proposal review process but the public really wasn’t. And when the public realized the immensity of the proposal there was immediate and major public concern with the overall idea given the scale. The town of CB appears the only one willing to address those big picture concerns sooner rather than later. The other partners apparently view the town in its stereotypical “Land of No” characterization. That’s pretty shortsighted. After the town’s request was received, the Mt. Crested Butte Town Council agreed with the county that a draft contract for the sale of the property to Gatesco should proceed. That’s not a slow-down. The county sent a proposed contract to Gates. That’s not a slow-down. According to an email from the development team’s community relations guy, John O’Neal, Gatesco has “been sitting down with many organizations in the county listening to their feedback on the project and also to what their housing needs might be. We are very interested in working with the local essential service providers (education, health care, local governments, public safety, utilities, etc.) and are committed to providing housing for their employees first. In the past we have also discussed a master lease with CBMR. Specific numbers of units to set aside are not being discussed at this point.” That’s not a slow-down. In part because no one else thought to do so, the town of Crested Butte held a public meeting last week on the project. It drew hundreds of people. It is something the county should have done before accepting the Gatesco proposal into its review process. A ton of valid questions and concerns were voiced but more important, it appeared the meeting provided a catharsis for some to at least be able to speak up about the proposal. The meeting was for the most part respectful and thoughtful. It showed a potential for possible collaboration on some issues. While one county commissioner, Phil Chamberland, attended the meeting, the other two did not and they apparently did not listen to the radio broadcast on Thursday. County officials maintain that the people will have their chance to state their case in public meetings before the county Planning Commission—and they will down the line at some point. The big-picture, philosophical discussion, however, should have been addressed before it was encouraged by the county to enter the much more narrow and technical county review pipeline. To people living in Crested Butte and Skyland, Crested Butte South and other nearby neighborhoods, the north end of the valley seems simply in the way of what the county commissioners and the CEOs of the “Big Institutions” want in order to fill out their spread sheets (publicly subsidized rental units for their employees) and their To Do Lists (address workforce housing with rental units). The economics of rapidly dropping 240 rental units into the market will likely lower rents throughout the valley. But I would bet one consequence is that many current free-market long-term rentals shift to VRBO-type rentals. So more workers will then be needed to service not only the new growth from the 700 people in the new rental project, but more tourists finding their way here through even more short-term rentals. Ahhh, the circles of life. The government officials pushing the plan seem transfixed by the claim there will be no local government subsidies required beyond selling a property worth probably seven figures for $100,000. So damn the other consequences and nuances of the project. The feeling from the county appears to be that once it is there, people will get used to it and use it. And they may. But getting to that point will leave a sour taste in the mouths of people trying to engage their government now—including the county’s One Valley partner, the town of Crested Butte. That certainly hits the mark and given their reactions, the other partners apparently don’t care about such potential long-term consequences. Look, if you build Aurora, you attract Aurora. This project feels more appropriate for the Denver suburbs than Crested Butte. Two of the most powerful comments I’ve heard came at two different settings from two different local mothers who rent. Both stated quite clearly that while they want to find good housing to remain in this special valley and raise their children here, they have no desire to live in such a project. It is not what belongs in a mountain village. They are open to affordable housing alternatives to help them solve their dilemma but an Aurora apartment complex is not it. That’s big-picture stuff that likely isn’t even considered in the LUR. 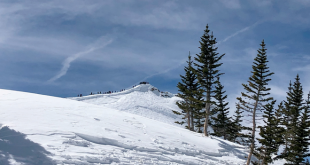 The county clearly does not respect Crested Butte’s concerns or its reasonable request to take a breath given the overall community reaction at this time. That is a problem for this end of the One Valley. And as the town’s email implies, it could hobble the affordable housing issue for years to come. The issue is definitely not easy but it didn’t have to be this hard either.